Margaret will send you weekly emails about how to get started etc. Good luck and hope to have you visiting my blog in future, too! Take care. Sounds like a good honest write up of Lipe – thank you. 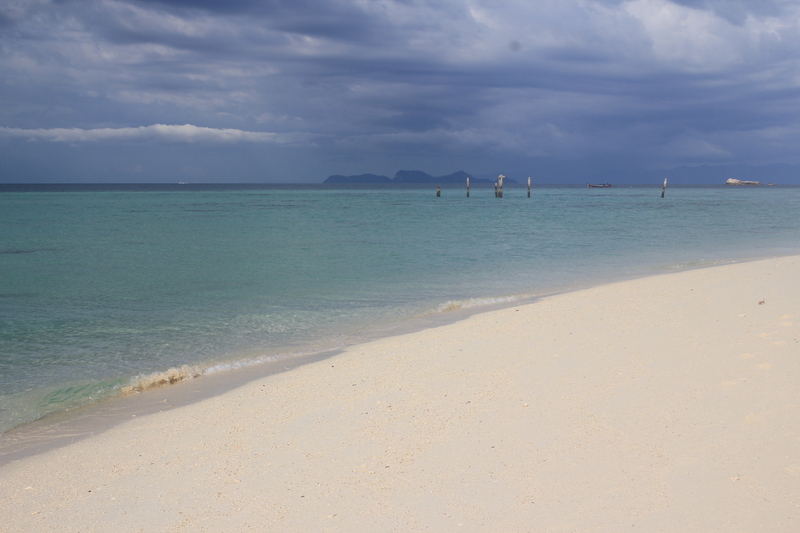 If visiting Koh Lipe do you think it is necessary to book accommodation in advance? Or is it ok to simply turn up and walk around a bit to see what the places are really like? (For most destinations I book up front as standards are usually consistent – but forking out over 50euros a night for such a small developing island makes me a bit nervous). Seems like there are a few negative to your visa, but I guess the snorkeling made it worthwhile? You got it. Diving/snorkeling makes it worthwhile. But as I said in my article, otherwise nothing special…. We were there during the high season (end of Feb, early March) and booked in advance and regretted doing so. Honestly, 50€ was far too much. We often just walk in to places and I don’t even know why this time we made the booking in advance. I guess we thought that it is an island (=limited offer) and we didn’t want to be stuck with nothing. Well, we should have not booked! If you are going now, it should be easy to find availability because it is not the high season any more. Don’t hesitate to contact me for more questions! Have a good trip. PS I got a feeling too that once you are on the island, the prices are cheaper. I think on internet (lastminute, booking etc) they sell more expensive rooms (AC etc) and often do not even offer the cheaper ones. PS2 I remember that actually many places close for the summer. Check that out before going. Since you a diver, maybe send an email to that Dive Center I mention in the article (a woman called Boi). Interesting to hear your thoughts! Thank you for sharing them. What did you think of my photos? I was so surprised to see so much dirt all over. This said, I don’t know other Thai islands, but if this is called “preserved paradise”, then what is it like elsewhere… If you know Thailand well, I would love to hear about those hidden pearls! Interesting to read what you think. Well, this was my first-ever visit to a Thai island and it did not meet my expectations at all. I saw your blog (what a fascinating life you have!!) and you must agree that Caribbean beaches are very nice too…. and not that much dirt! And I personally love African (Tanzania, Kenya) beaches, and again, they are much cleaner. 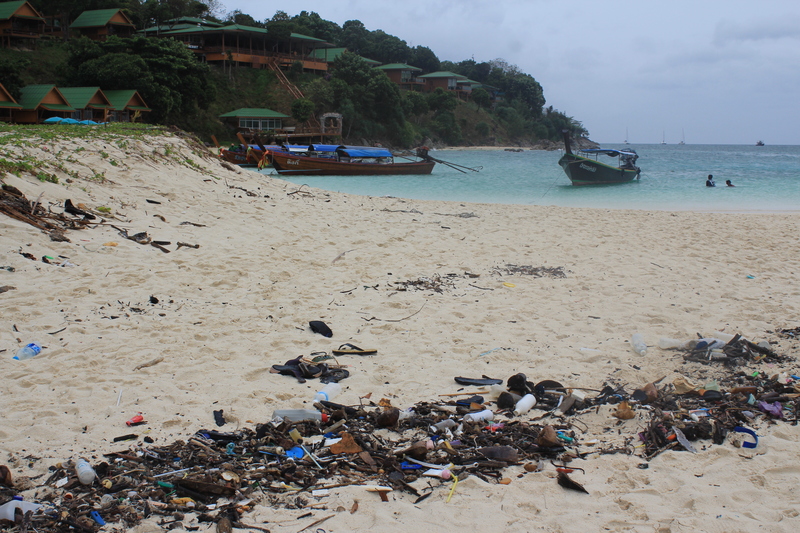 Well, maybe Koh Lipe is an isolated sad story of tourism going wrong….? I don’t know. Btw, since you are a diver, did you ever go to Similan islands? I don’t really agree about the dirt on the Caribbean beaches. I was living on Jamaica, Curacao and now St Eustatius, but it’s just terrible to see the trash. Especially Jamaica was terrible, trash-wise. Not only the beach! In Africa I’ve only been to Gambia, I don’t think that could be considered a “typical” African beach 🙂 Would love to see more of Africa, but I guess that’s for the future. Nooo, I’ve never been to the Similans unfortunately. The diveschool I worked for in Phuket went there every now and then on live-aboard but I never got a chance (more experienced instructors first). But it must be amazing!! Ok, I don’t know those places that you mention in the Caribbean. Well, let’s conclude that trash is an unfortunate part of our life… but it should not need to be that way! Now I read your story about Thailand 😉 I was visiting Koh Phi Phi when I was in Thailand and it is a famous island especially for young people, so I thought other islands in Thailand will be lots better and calmer than Koh Phi Phi 😦 Thanks for this information Miia! Well. What can I say 😉 ? I also thought that because Koh Lipe is quite isolated (at least not on the main touristic route) it would be a lot more unspoilt than some other “big names”. Was totally wrong. Are you traveling in the region at the moment? Have fun & safe travels! I can’t speak for Indonesia as have never been but El Nido in Palawan in Philippines is a special place to me. I am travelling in the region, yes. hi guys. booked http://www.lipebeachresort.com for 9 days – SeaBreeze Bungalow Deluxe version in January 8-18th. Gfs birthday is on 11th. these sort of reviews are getting me scared. would i be better of starting somewhere nice in Koh Lante like 8-13th then doing 5 days instead in Koh Lipe? that way incase its not nice atleast it doesnt ruin birthday….thanks in advance for any suggestions / advice & hope you all enjoy your future holidays! Hey Anton. 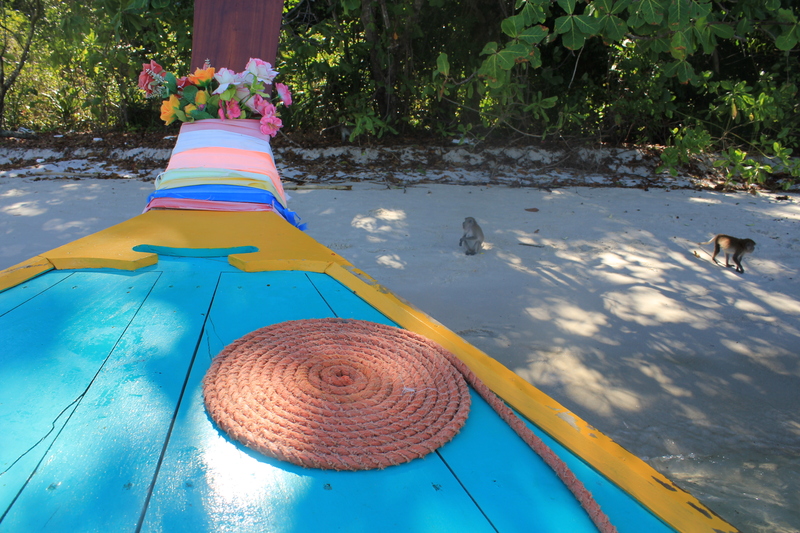 Well I would’t go back to Koh Lipe but it all depends what you are looking for…. Indeed, I think it is a good idea to do two different destinations (islands). I can try to ask a friend who is traveling over there at the moment where he would go (he knows Thailand really well and didn’t like Koh Lipe either). Hi Miia. Thank you very much for offering to help. id love to hear the opinions of your friend. i posted on tripadvisor but only got a single reply saying that Lipe Beach Resort is on the quiet more secluded part of Sunrise Beach…im thinking of instead of doing 8th-18th Jan on Koh Lipe (birthday on 11th) to simply do 8-13th on Koh Lante then 14-19 or something on Koh lipe then move onto some other Island afterwards. Id love to hear anything your friend has to say! Thankfully i have free cancellation for about another 2 months! Hi Anton, first of all, my friend agrees that it is quite long just in Koh Lipe..
Secondly, what are you expectations, what do you think you will want to do once over there? Hey Anton. Did I already ask you, where are you flying from and where will you fly to after the beach time? 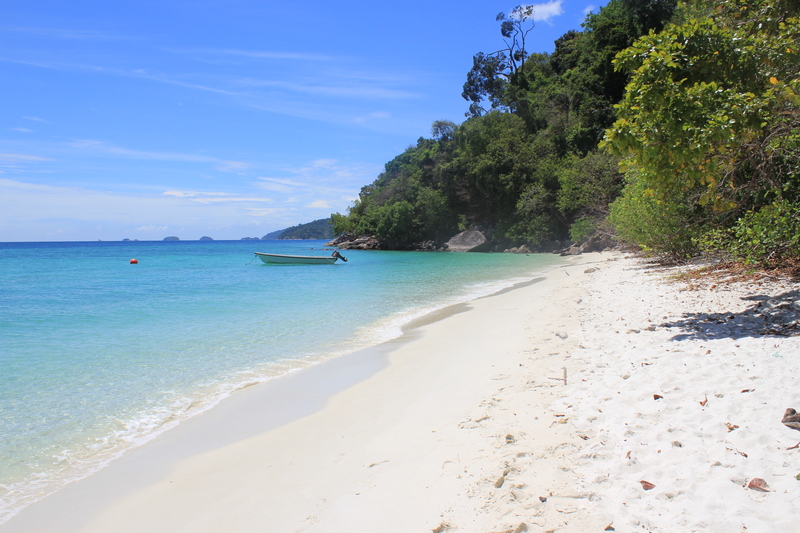 Well I don’t think Koh Lipe is amazing but I am maybe a travel snob 😉 I have seen some of the most amazing isolated beaches around the world so I am spoiled 😉 BUT: I also know ppl who have liked Koh Lipe…. You could indeed check Serendipity (read Tripadvisor reviews?). It is one of the most quiet resorts. Idyllic I don’t recall but I will google it. About seeing animals: I don’t think you will much. 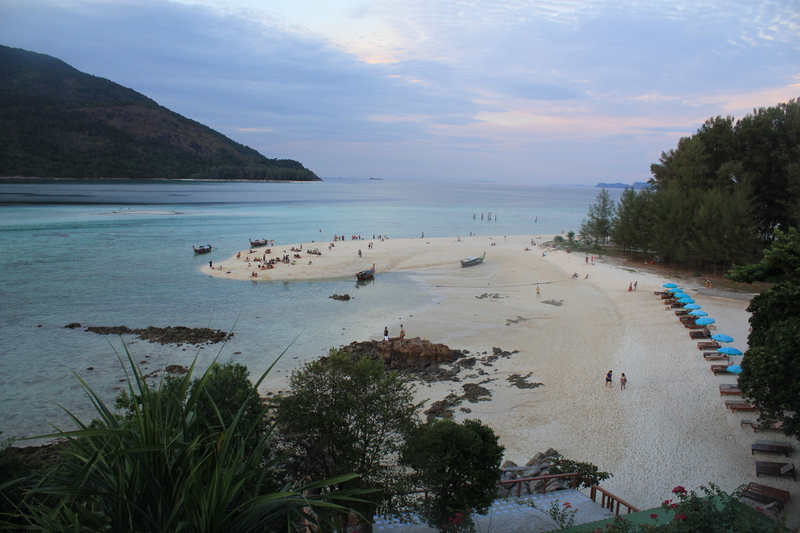 One thing about Lipe Beach Resort. We first thought to book there too but cannot remember why we didn’t. But what I remember is that prices on hotels.com etc were much higher than the ones we were referred to while we visited the resort. Same about the hotel we first stayed in: we prebooked on Internet and paid way too much. It was not worth our money. If you can answer me about your flights I can try to help you more! Hi Miia.thank you for your reply. The plan is to meet up in Krabi on the 7th (i would have been in Khao Lok previously for a month) with GF flying in from Bangkok on the day. 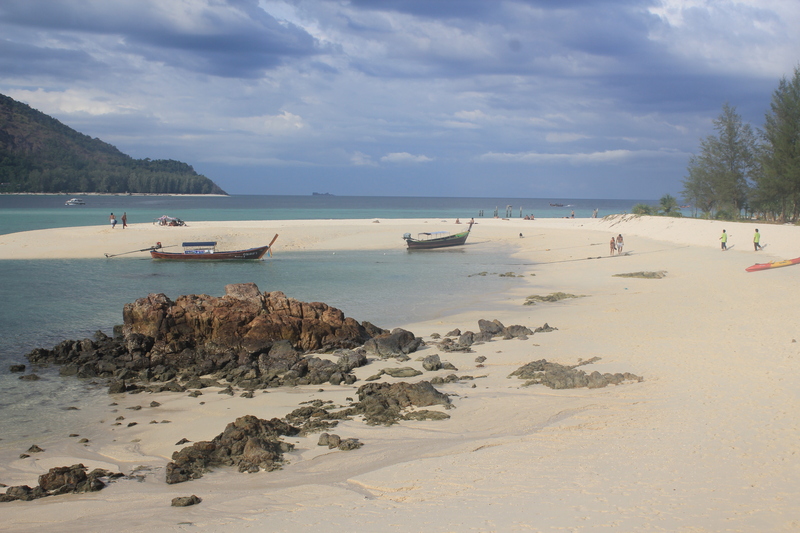 spend 1 night somewhere in Krabi then early morning on 8th-13th go to Koh Lipe. Subsequently go to Ko Phi Phi for 13-18/19th then back to Krabi probably for 4 days then 3 nights in Bangkok. Thats currently the new plan. I’ve had a look at serendipity but its just massivly expensive.like 8-10k baht for rooms i was looking at (garden), non refundable whilst lipe beach is 3k for oceah view deluxe room. in phi phi im also looking at a remote place for 4-5k / night called phi phi relax beach resort. apparently fully secluded and need to get kayak to get there. ive done lots of research and dont really know what other places to choose. 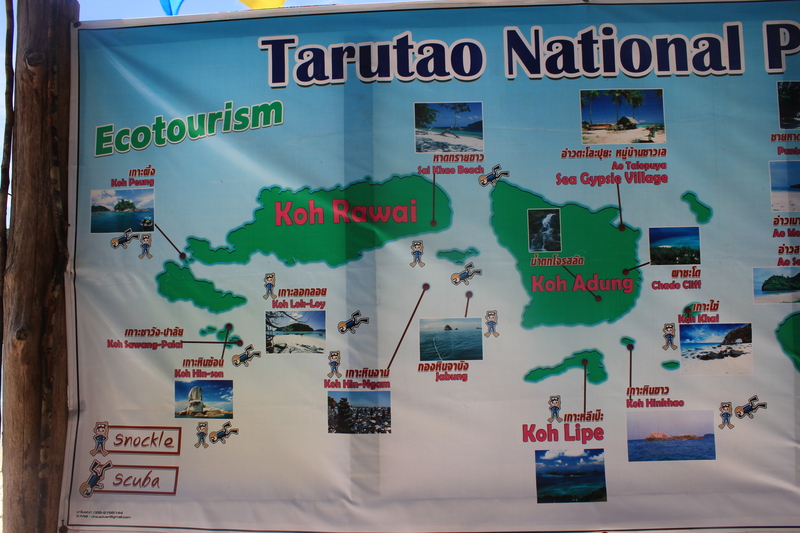 places like Karandar and Ko BUlon dont seem to have any good accomodation choices…Adang and Tarutauo seem more like good day trip visists…any other suggestions? thank you for being so amazingly helpful! Hi Anton, I am a bit busy the next two weeks but I will try to have time to find some answers to your questions as soon as I have time ok? I may be wrong, but my first feeling is “why to go so far south to Koh Lipe when you can find nicer places in the Krabi area”. This is what I regret: I think we should have stayed near Krabi (but Koh Lipe was closer to Malaysia where we continued after Thailand). I thought that the further away we get from Phuket and all that, the “better” (less touristic) it gets but I guess I was wrong. any advice would be great. especially on Krabi as we are planning on spending some significant time there. still not decided whether though., it seems Railay has the best beach & lots of rock climbing opportunities…but not sure if it would be cheaper to simply stay in Andoga (sp) area and always take a boat there as it seems most of the restaurants / food etc aren’t there and that if we were to make day trips it wouldn’t be from there either….also what was your take on Phi Phi? Not the touristy areas but somewhere in the NE of the island like Pak Nam Bay. Hi Anton, I haven’t had any time because I have a small baby and she has been sick, and then I got sick, and then I had to do an urgent work project…. I will try this weekend! Just read your post (sorry for the delay!) and I share your thoughts! Such a pity. Our experience was so bad that we may just choose another country next time all together. Indonesia? Philippines? Hi there, Thailand is the most touristic destination in south east Asia. There are no unspoiled beaches there and most coral is in a bad shape. Much of what you see in Thailand now, is a result of the word spread through travel guides such as routard, lonely travel, and such. Further on in time, given the explosion of travel bloggers such as yourself, most of the yet less accessible destinations in south east Asia are bound to go the same way as Koh Lipe. Kind regards. Hi Mari! Apologies for a very delayed response and greetings from absolutely fantastic Borneo!! Re: Thailand, I still wonder why is so popular… Do you travel a lot in Asia and wanna share some hidden or at least spots 🙂 ? Thank you Miia for the great post. My wife and I visited Koh Lipe in the month of November, a few years ago, and loved it so much that we were back in two months! Serendipity and Idyllic Concept on the Eastern side of the island, and Sita Beach Resort, at the western end of Pattaya Beach, are the best places to stay. Serendipity though doesn’t have much of a beach, only rocks. Snorkeling was good across from Serendipity, but the best is to take a long-tail boat for a day trip around Lipe, as well as to the neighbouring islands. The boatman attached to Sita Resort – YAMAN – was incredibly helpful, and not only took us to brilliant spots, but also assisted my wife, a non-swimmwer, to snorkel. Her confidence multiplied immensely after this trip. 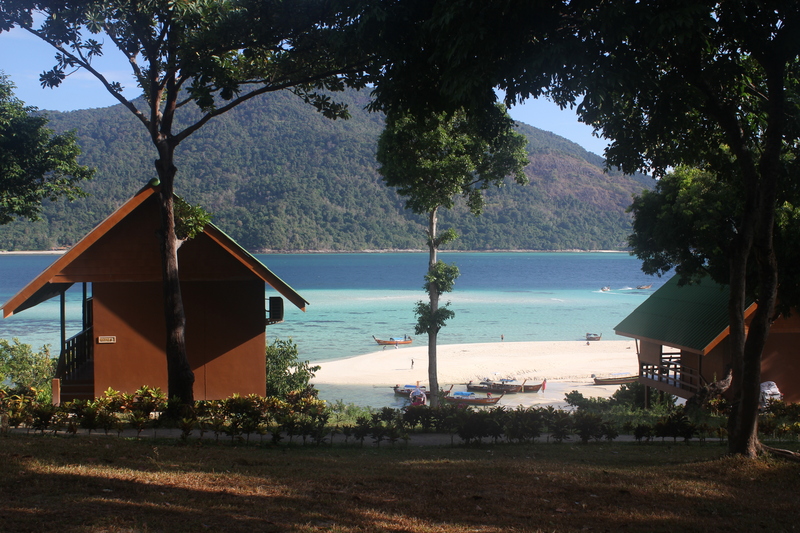 We would go back to Lipe just for Yaman. It is so wonderful to have a local friend for guidance on a holiday : ). 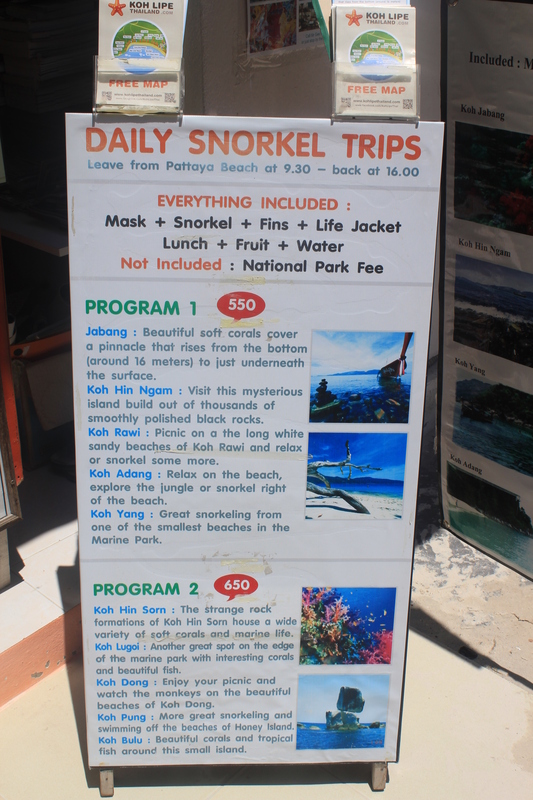 We’ve also done some great snorkeling in Koh Phangan and Koh Tao. We would love to hear of other good snorkeling sites in Thailand.